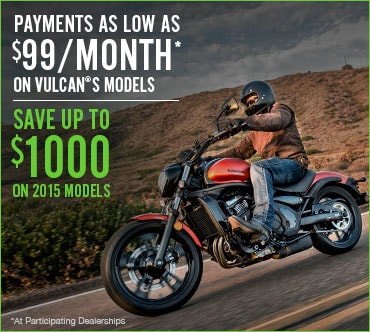 Kawasaki Military Customer Promotion - Military Discount! Military Customer Promotion - Military Discount! As Low as $99 per Month*! 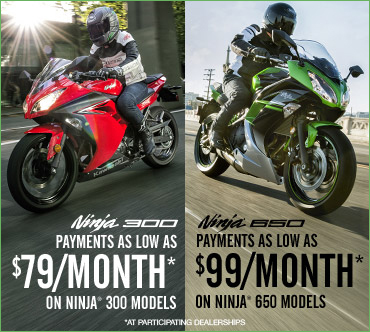 Kawasaki Golden Anniversary Sales Event! Save Up To $2,500 On Select Models At Participating Dealers + Low Financing! Kymco Big Fall Sales Event - On Road Items! Big Fall Sales Event - On Road Items! As Low as $79 per Month*!